When historians write about the Vaccine Decades (1976–2020), there are two names that will live in infamy: Dr. Frank DeStefano, and Dr. Coleen Boyle. President Clinton called Admiral Zumwalt “the conscience of the US Navy”. In fact, Zumwalt’s report is used by veterans seeking compensation. 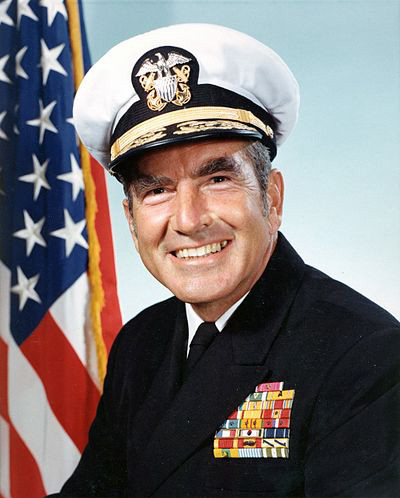 Zumwalt’s son was exposed to Agent Orange and died of lymphoma in 1988. The CDC study (which lists no authors) that was published did not study any specific mechanism by which Agent Orange might have caused health issues in veterans. Instead, it studied dioxin levels in Vietnam veterans compared to non-Vietnam veterans. The 646 Vietnam veterans studied by CDC who all served in units that were most likely exposed, did not have elevated levels of dioxin as compared to non-Vietnam veterans. This retrospective study seeking differences of levels of dioxin nearly two decades after exposure is a type of epidemiologic study with only a long shot at success. The aims of the study were to determine whether military records could be “used to identify US Army Vietnam veterans who were likely to be exposed to the herbicide Agent Orange”. Dioxin is stored in fat. The study measured dioxin levels in serum. Given the CDC’s failure to detect evidence for increased exposed in the 1980s, the ill-posed study was initially used as justification for no further science on the possible effects of exposure. Human Resources and Intergovernmental Relations Subcommittee, US House of Representatives: The Agent Orange Cover-up: A Case of Flawed Science and Political Manipulation. 101st Congress, 2d Session, House Report №101–672. Washington, DC: Govt Printing Office, 1990. What else has the Destefano/Boyle team failed to detect? Under their watch, studies conducted ostensibly to test the hypothesis of a link between vaccines and autism have consistently failed to detect any association. Are they competent enough, given the debacle of their failed study in 1988, to run the hopefully entitled “Immunization Safety Office” (which ignores the differences between Vaccination and Immunization) and the “National Center on Birth Defects and Developmental Disabilities”? It is my professional opinion that no, neither of these individuals is sufficiently competent to be involved in vaccine safety science and interpretation of studies. Further, it is my professional opinion that both are guilty of intentional and scientific fraud, perpetuated repeatedly and consistently, to hide the association between vaccines and neurodevelopmental disorders. (1) Boyle informed Congress that no studies have been conducted that compares the rates of autism in vaccinated and unvaccinated Americans. Yet the CDC website clearly reads “Vaccines Do Not Cause Autism”. How could any competent scientist make such as stunning conclusion when the science required to answer the question has not been conducted? 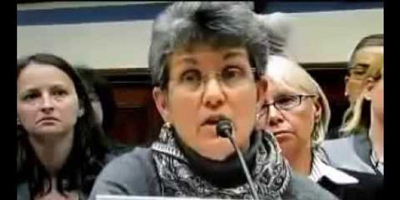 Dr. Coleen Boyle testified to Congress that no science exists that shows vaccines do not cause autism, yet the CDC website still proclaims that “Vaccines Do Not Cause Autism”. (2) Destefano removed results showing increased risk of autism from on-time MMR prior to presenting to the Institutes of Medicine, and prior to publishing the fraudulent study known as “Destefano et al., 2004”. Two subgroups are missing: African American boys, and isolated autism. The latter group had increased risk, included boys and girls from any race, who had no other conditions other than autism. That means “anyone”. (4) DeStefano admitted to journalist Sharyl Attkisson that (a) they removed the results because they did not believe them, and (b) that vaccines may be responsible for autism in susceptible individuals (See Sharyl Attkisson’s capture and hear the confession to her here). 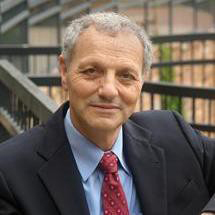 Dr. Frank DeStefano’s career exemplifies a list of failures to detect anything wrong with vaccines. (5) DeStefano has participated in other publications in which he outlines how association studies should be conducted. He says that covariates must be “corrected for”, and that finding covariates that cause associations between vaccination and adverse events to disappear after the association is first found and then lost due to such corrections somehow exonerates vaccines. This is poppycock. If birthweight, mother’s age, mother’s income, gestational age, etc. cause a loss of significance of vaccination status, the correct model selection procedure is to look for interactions between vaccines and the covariates — especially because they can be functionally related to adverse events from vaccines. If the interaction terms are significant (which could easily be, given that mother’s income, age, gestational age and birthweight may all correlate to nutritional status), the result is pointing to covariates that make vaccination an increased risk. This is elementary linear modeling, and any studies that “correct for” covariates without also studying, and reporting, the interaction terms is hiding the effects of vaccines interacting with other variables. Besides Autism, what else has the CDC Destefano/Boyle team failed to detect? It is outlined in this 1990 Congressional Report: The Agent Orange Cover-up: A Case of Flawed Science and Political Manipulation. Given these realities, and the fact that this and other equally damning information has been available for at least three years, it simply is unconscionable that Destefano and Boyle remain in their positions at the CDC. We cannot have incompetent individuals unable to conduct and properly interpret science standing in the way of helping America deal with the explosion of neurodevelopmental disorders — and the full suite of consequences currently being experienced in schools and homes all around the country. Dr. Thompson: Well let me tell you something really interesting I learned about this week so in the midst of this. Ya know, I was yelling at Marshalyn this week, I mean, Marshalyn and I were . . . WHOOOO! I was, it was suggested I resign, and um it’s like that type of stuff going on right now. The whole place is a big pressure cooker . . . So I don’t know if you know this. The CDC was invited to testify (before Congress) and they declined, so this is . . .
Dr. Thompson: Yeah, and Marshalyn said she’s been offered to testify and said she won’t. Coleen (Boyle) said she’s been offered to testify and Coleen said that she would never go and testify again. The rate of ASDs is now 1 in 36. Frank, Coleen, you can stop the denialism. It’s over. And you can help America. How? 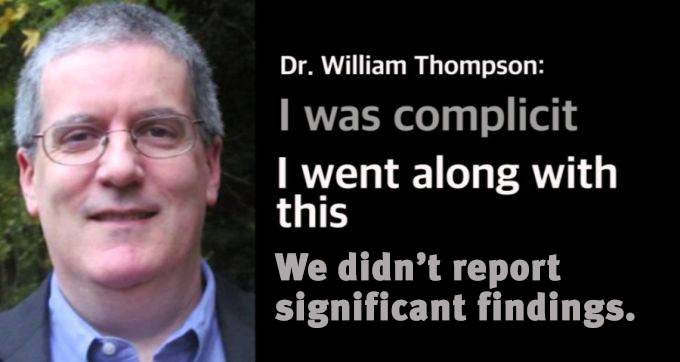 Please resign, and in your letters of resignation, provide a full confession, like Dr. William Thompson has, and let someone capable try to clean up the mess you’ve made. Half of children have a mental illness in the US. Teachers cannot teach children due to behavioral anomalies. Violence in schools are causing special education teachers to quit in schools across the country. Property taxes are going up as special education costs skyrocket. Calm rooms are being built in schools, and wobble chairs to allow fidgeting. Rates of schizophrenia are increasing among 20–30 year olds. High levels of amyloid are found in the brains of kids with severe autism. High levels of aluminum are found in people with autism. Artificial immunization programs are failing as parents abandon them due to first-hand experience with neurological and immunological adverse events. Exemptions to vaccine mandates are increasingly under fire. There are desperate attempts ongoing now to convince the increasingly vaccine injured public that vaccine injuries are rare, to blame ASD on stress in the home, and most recently on alcohol use during pregnancy. Why now, all of sudden, can such association be detected? Where were these studies of environmental exposures conducted by CDC after 1988? There were none. 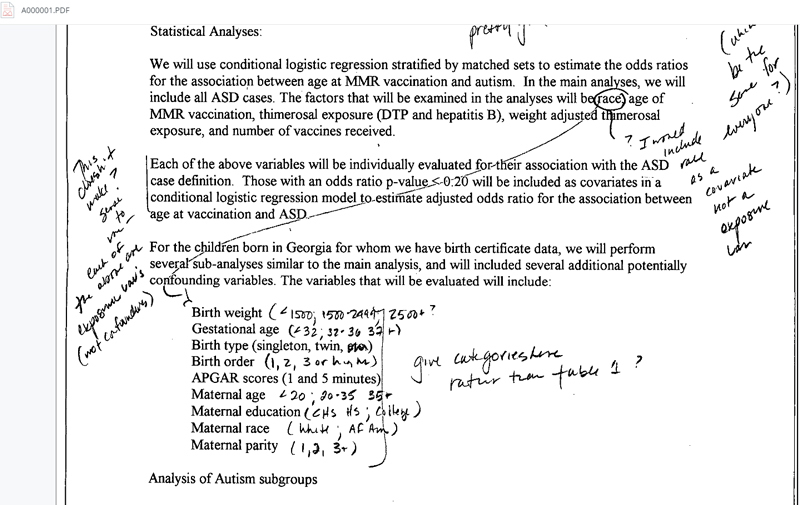 CDC (i.e., Boyle, Destefano) had a suspicious lack of curiosity of what DID cause autism. CDC convinced IOM to say that no more studies were needed. CDC failed to detect association, and called for no more science. Just like Agent Orange. The future is now. Vaccines can no longer be said to be “safe” and effective. Other science has progressed, independent of CDC, and the cat is out of the bag. History will recall the names Destefano, Boyle, Orenstein, Gerberding — and Thompson. There are others. History has shown us that propaganda has never been successful in propping up a regime founded on fraud. It’s time for Vaccine Safety Science Reform at the CDC, and across the United States. About the author: James Lyons-Weiler is the president and CEO of the Institute for Pure and Applied Knowledge, an advocacy group that pushes for accuracy and integrity in science and for biomedical researchers to put people’s health before profits. An established academic and researcher, he has a bachelor’s degree in biology, a master’s degree in zoology, a PhD in ecology, evolution, and conservation biology, and a postdoctoral in computational molecular biology; and he’s the author of Ebola: An Evolving Story and Cures vs. Profits. Sign up (at top of the page) for free news and updates from Robert F. Kennedy, Jr. and the World Mercury Project. Your donation will help to support us in our efforts.